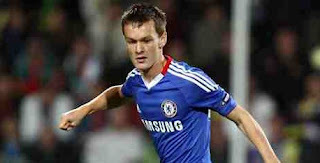 Josh McEachran, at 18, had offered evidence last season that he could become this Chelsea's Jack Wilshere. His tidy passing impressed in cameos across the competitions, with the five-year contract signed on the eve of the team's Asian tour just reward for the progress he has made. Now integrated fully into the senior squad, and a starter again in the 4-0 defeat of a Thailand All Stars XI on Sunday, he offers constant glimpses of what awaits this team. Not all in their number are seasoned. There was composure in possession and one neat reverse pass that particularly caught the eye, liberating a rampaging Branislav Ivanovic to sprint into enemy territory and slide in Chelsea's third and most impressive goal. Villas-Boas described McEachran as "an amazing British talent for the future" in the aftermath, with his continued progress presumably a key part of bridging eras in the long-term reinvention of this team.